Whether you’re an established wedding photographer or are just considering leaping lens first into the world of wedding photography, you understand the value of expert advice. 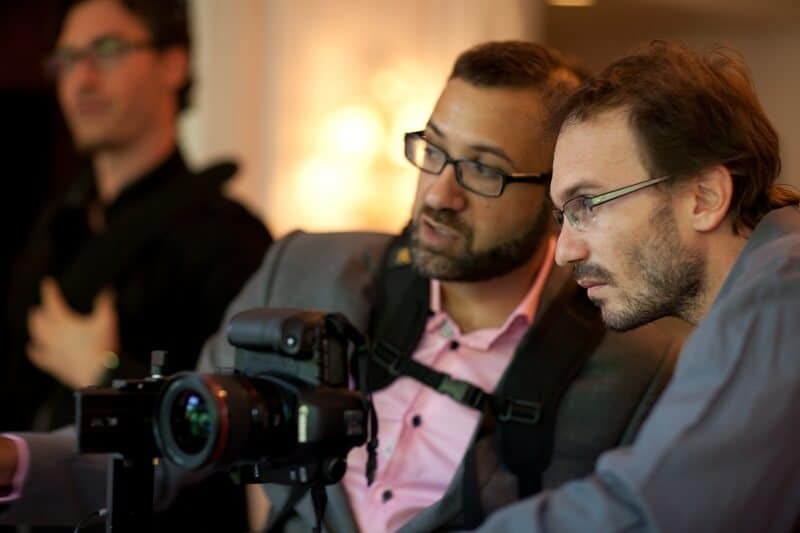 John Nassari is an award-winning London photographer with a diverse career and considerable academic experience. We’ve met up with him to ask for a few lessons in wedding photography. Meet John, your expert for the next 10 minutes. John Nassari’s Top Ten from Behind the Lens. “I think at some point or another, a lot of photographers turn the camera on themselves. Maybe not directly on themselves but on their family. That’s what I did.” John Nassari. Practice at every possible occasion. Take loads of photographs and get used to shooting people and searching for those decisive, emotional moments. Emotion is a hard thing to capture and it’s not necessarily about capturing someone laughing. There’s something more than a smile that makes a powerful image. A touch, a look… an isolating moment between the couple as they stand amongst the crowd – that’s how you capture a beautiful moment. Practice and develop your eye for capturing these moments within your own life. By studying the work of photographers you admire – whether inside or outside of the wedding industry – you challenge yourself to continually improve and you can more easily carve out a style for yourself. Richard Avedon – a portrait photographer well known for shooting against white backgrounds. 3.Know that wedding photography is different. If you have experience in photography outside of the wedding industry, prepare for the difference! 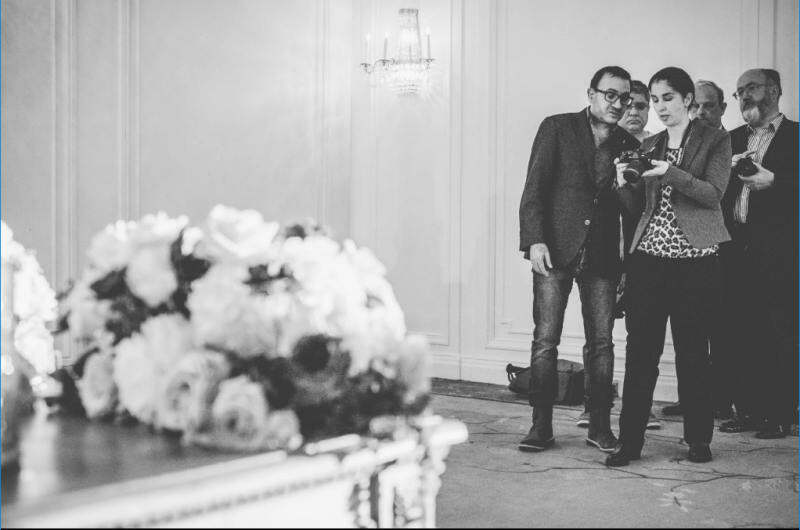 When shooting weddings you’re reacting, not planning. You have to react to the story as it happens and unravels because it’s a live event that you’re there to capture. There’s always a beginning, a middle and an end but it’s always a different story. You don’t know what’s going to happen and that makes wedding photography both fun and challenging. Listen to what’s going on around you and react. Top tip: Always use multiple backup SD cards – never rely on just one. You can’t ask for a couple to re-enact their wedding – it’s very different to a studio shoot in this way! When photographing a wedding you become an “intimate stranger”. Wedding photographers are allowed to have so much power and space. Attempting to capture all aspects and every moment of the weddings you shoot is a skill in itself. You’ll need to invisibly and seamlessly glide around the ceremonies you shoot and this is something that comes with practice. Forging a good relationship with the couple you’re shooting is really important as they have to trust you not notice you. If they’re worried about your ability, professionalism and whether you’re capturing everything, you’ll be in their focus. John believes that photographers must embrace blogging to raise awareness of their brand. John himself shares regular news and photography tips on his website and he believes it’s imperative to ensuring one is highly commended within the photographer community and subsequently recommended to newly engaged couples. Keep your Bridebook profile up to date because this is where your audience is. Be where engaged couples are and make sure the photographs and information you present are relevant, current and representative of how talented you really are. You will, of course, need a website – but how do you have a website if you’ve never shot a wedding? You could also try working with venues and doing style shoots for free so that you have industry related work to show. “Networking is imperative,” says John “and there are different kinds of education when it comes to learning how to be a successful wedding photographer”. Joining a group of photographers that meet every month and talk about their portfolio is classed as education and development. 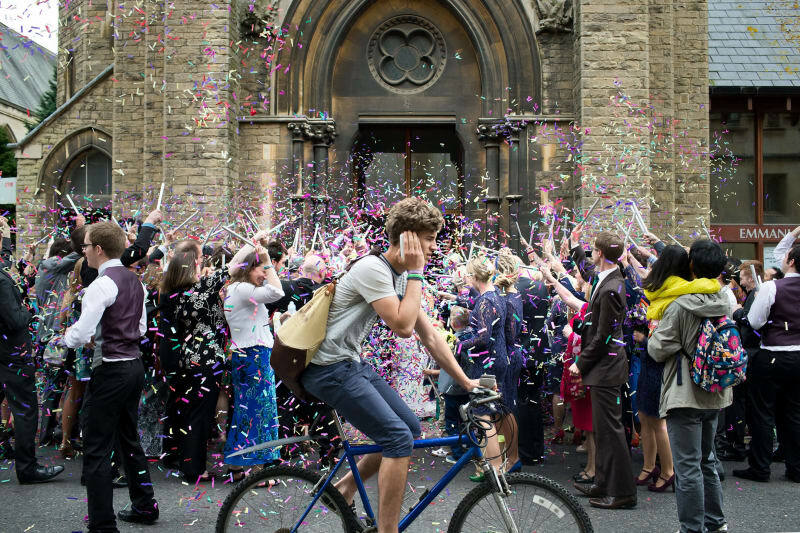 You could become part of a community like SNAP Photo Festival which is aimed at wedding and lifestyle photographers and includes workshops and activities which will inspire you and help you to develop your wedding business. This too is education. Building relationships with other suppliers is important for your professional development and for business. John believes that a pre-wedding shoot is really important in making the couple you’re working with feel comfortable. Meeting a couple when they first book your services and keeping in good contact with them throughout their wedding planning journey is also imperative. Couples are looking for a sidekick, not a colleague. It’s impossible to give a one size fits all answer to the problem of low lighting. Many weddings happen in churches or moodily lit rooms and as a photographer, you’ll need to manage the lighting available to you without the support of flash. In 2009, John shot his first Jewish wedding and became slightly stuck on a few references to tradition, such as the use of the word “Bedeken”. To ensure you’re fully prepared to shoot cultural wedding’s you’re unfamiliar with it’s imperative that you do your research beforehand. To prepare a winning wedding photography portfolio you have to first identify what it is you want to specialise in and be clear about your photographic style. Are you a slightly overexposed, ethereal style wedding photographer who specialises in outdoor weddings and posed shots? 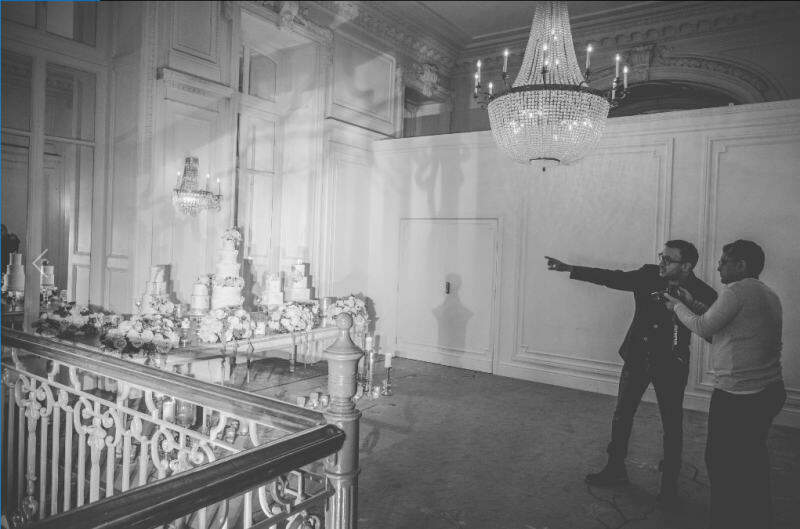 Or perhaps your style includes shadow and drama, and you specialise in documentary style castle weddings. Whatever your style and substance, keep pushing your work to the next level. Shoot more weddings and every year, update your portfolio in line with improvements in your work. Top tip: Keep your Bridebook profile packed full with your most up to date photography. With 1 in 3 couples now planning their wedding with Bridebook, your work is always being seen. You want to make sure that it’s your best and most recent work. 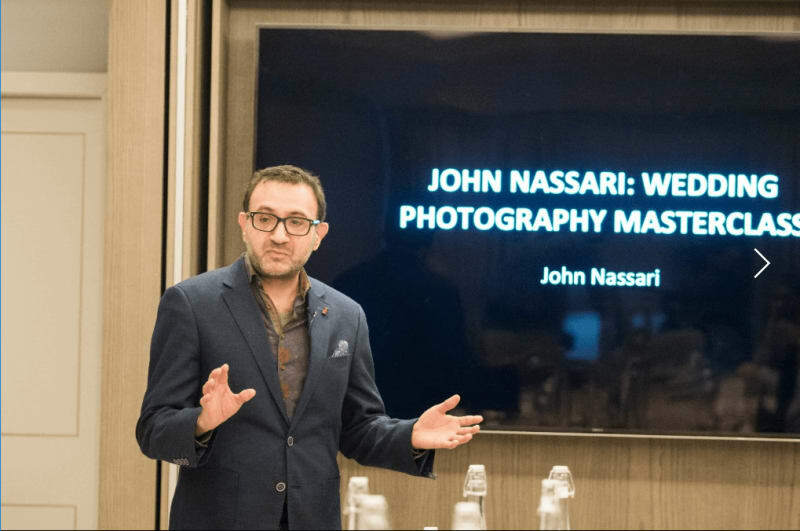 If you’d like to learn more from John Nassari, purchase ‘The 10 Essential Steps to Wedding Photography Success‘ – with over two hours of online tutorials, this course offers everything you need to supercharge your wedding photography business. (Full course information in the video below). Use Discount Code: “bridebook” and get 50% off until 31st March 2018!! Looking for more top tips and industry insights? Head to the Bridebook Business Hub now. The wedding industry professional’s one-stop shop for the all the latest news and top tips to power your wedding business.